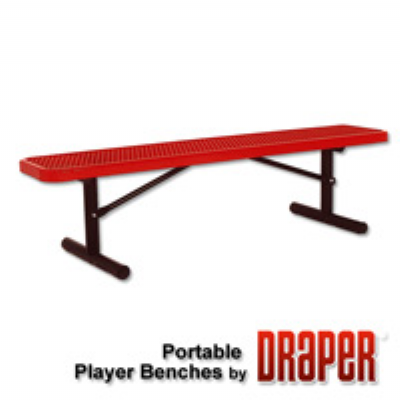 Draper Player Benches are available in portable or permanent models and in lengths of 6', 7.5', 8 and 15'. Frames are constructed with tubing and are galvanized or finished with black powder coat. Portable Player Benches feature horizontal feet with rubber floor protector pads and lateral braces to increase stability. Chose your seating surfaces from decorative colored recycled plastic, aluminum or thermoplastic coated expanded metal in choice of three colors.